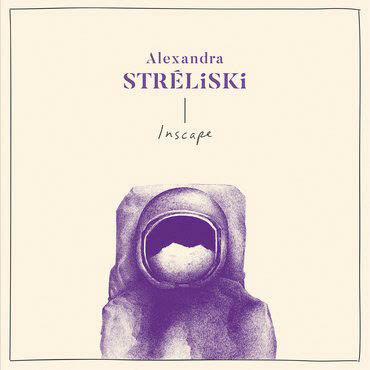 Upon first listen, it’s no surprise that Alexandra Stréliski features on not one but two piano-oriented Spotify playlists. Her new album Inscape is a delightful treasure trove of sublime piano that takes the listener around European capitals – an orange-lit evening in an apartment in Paris on ‘Plus Tot’ is followed by an idyllic Autumn walk around Berlin’s Nikolaiviertel on ‘The Quiet Voice’. Speaking of Berlin, Stréliski’s wonderfully soft, emotionally stirring piano reminds me of Yann Tiersen’s excellent work on soundtracks, most notably the poignant piano-led soundtrack of ‘Goodbye Lenin!’. The cosmopolitan aspect is no surprise; Stréliski grew up between Paris and Montreal while being of Polish Jewish origin. This album is very European, as I have already said, and I’m not sure how to define such a term outside of telling you to go and listen to the album itself and then you’ll come to see it. It’s an idyllic experience, a soundtrack to a life in all its moments: the sad, the glorious, the chilling, the tender, the beginning and the end. While it is a little similar in content, unsurprisingly (soft piano can only go so far) what we are given is a ray of brightness, more tender than similar composers like Nils Frahm. I would advise you to listen to this album with your eyes closed, or to look out the window, or to at least avoid looking at the song playing and what time it’s at. Close your mind and let the images come to you. Let the world wash over you. I find it hard to define what will happen next, because all I have are my own personal experiences. But that’s appropriate, given how intensely personal this album feels – it will conjure up different thoughts and visions for everyone. It’s both Stréliski’s and yours. One of the highest points of the album comes during ‘Interlude’, where the piano seems to climb higher and higher, becoming almost ethereal and heavenly and sublime. ‘Blind Vision’ is poignant – it’s like visiting a place where you shared a special moment with someone who isn’t there any more. There’s acceptance, but there’s sadness there too. ‘Burnout Fugue’ is as similarly morose as it sounds. Then there’s a pivot to innocence and hopefulness on ‘Overturn’, which sounds like a child at play, an auditory Matisse. The album is closed by ‘Le Nouveau Depart’, a sweeping emotional brush-stroke ending on a loud, prominent minor chord. Fitting that mixed emotions of hope and despair should bookend an album of such emotions. For ‘Inscape’ is an emotional experience, a vision, an artist at work. It is, as I said earlier, the auditory equivalent of a Matisse or a Monet painting, the piano replacing the brush-strokes, the soft notes replacing the muted colours. It’s a wonderful thing to listen to, almost virtuous in its beauty.